Microsoft seems determined to give Adobe's all-conquering Flash framework a run for its money, with the unveiling at PDC of a Silverlight 4 beta. Delegates at Microsoft's Professional Developers Conference were treated to a 're-imagining' of Facebook running in Silverlight 4 with almost instant photo slideshows, interactive windows and links to Office documents. The new software platform will offer improved connections to peripherals such as printers and webcams and microphones - and, like Adobe's AIR, can be used to build applications running outside browsers. The new Silverlight is promised to start up faster than Silverlight 3, and will zip through heavyweight processing tasks twice as fast as its predecessor, according to Microsoft corporate vice president Scott Guthrie. During the demonstration, Guthrie highlighted IIS Smooth Streaming, a function to improve streaming video on an iPhone using Silverlight 4, and even showed Flash content running within Silverlight. The new Silverlight will also play nicely with Twitter, allow users to edit and publish UGC, drag-and-drop files directly into the software and use HTML controls within the framework. Moving Silverlight out of the browser will enable it to challenge Adobe's AIR platform in the development of standalone desktop apps, where Microsoft especially hopes to lure business customers. According to Guthrie, Silverlight technology is now deployed on 45 percent of the world's Internet devices, up from a third just a few months ago. 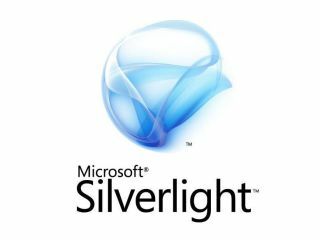 Silverlight 4 is expected to be given a full release during the first half of 2010.